Spiritual custodianship and community leadership require two types of contributors: scholars and community activists. Our goal at Qalam is to provide knowledge and training for both activists and scholars. Qalam has made a serious commitment to not compromise either of these opportunities for the other. While the first year of the 'Alimiyah program is a strategic exit point that equips the community leader and activist with the tools and knowledge required to serve communities in a meaningful capacity, the four year 'Alimiyah program is our effort at producing the future scholars of our ummah. Serve as full-time Imam or religious leader of a community. Develop and teach beginner, intermediate and advanced levels of Islamic studies curricula. Contribute to the international compendium of Islamic scholarly research and literature. Address Islamic legal and social issues unique to the American experience. Establish productive and beneficial institutions of spiritual growth, education, and mentorship. Year-to-year breakdown of our 5-year 'Alimiyah Program. 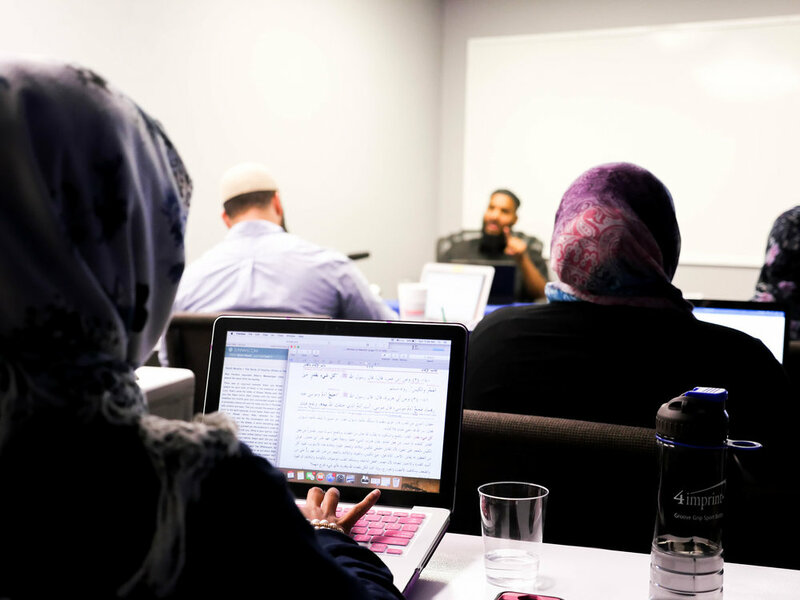 Students will begin their journey with the study of foundational Arabic grammar and morphology, and over the course of the year, build the skills required to read and understand the Quran and classical Islamic texts in Arabic. Develops a well-rounded foundation in the major Islamic Sciences along with developing the ability to read and benefit from the work of scholars in those subjects. Advances the students’ grasp and understanding in the fundamental Islamic Sciences while covering advanced areas of study. Upholds the time-honored tradition of studying and surveying the canonical books of hadith along with scholarly texts in the derivation of Islamic law. Requires students to identify an area of specialization in Islamic Studies and dedicate themselves to researching and publishing a thesis within their area of specialization.